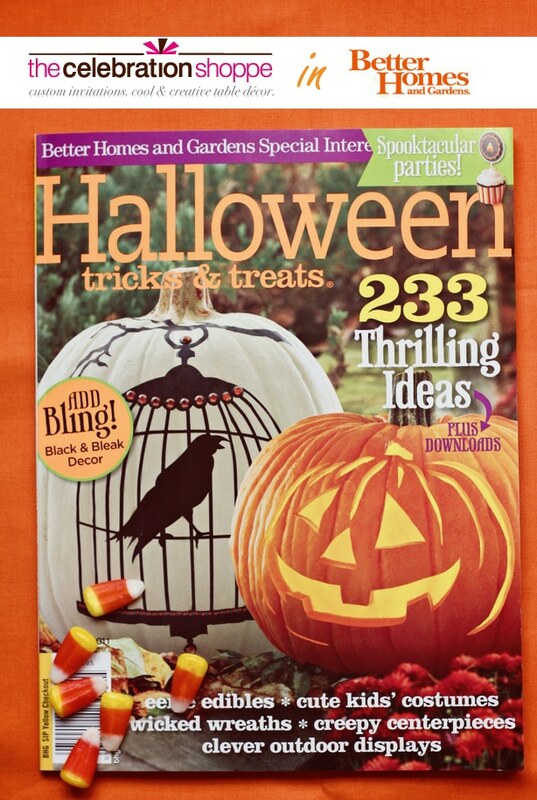 The Celebration Shoppe in Better Homes + Gardens Halloween! Posts like this one make me smile! I’m SO excited to share the huge achievement of one of my sweet friends, Kim of The Celebration Shoppe! 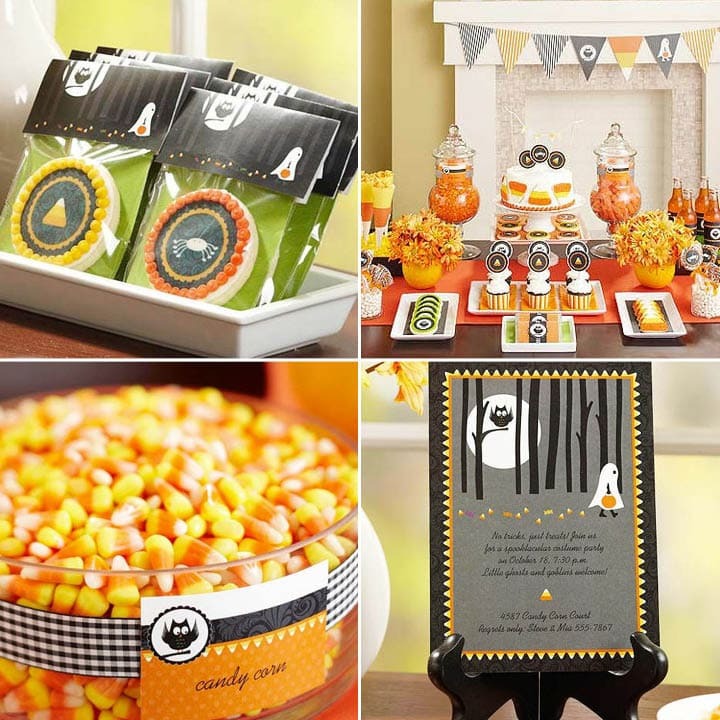 Her Halloween Party ideas are featured in a HUGE spread in Better Homes + Gardens! Congratulations Kim! Her ideas have always been at the top of my inspiration list so it’s really no surprise she’s being noticed all around the country for her creativity! I love the decorated butter cookies in individual favor bags below! How cute?! I’ve heard they are DELISH too! You can find more about these cookies made by Sweet Tooth Cottage over at The Celebration Shoppe! The BEST part about this fabulous feature?! Kim is giving away the CANDY CORN COLLECTION to readers for FREE! Amazing! 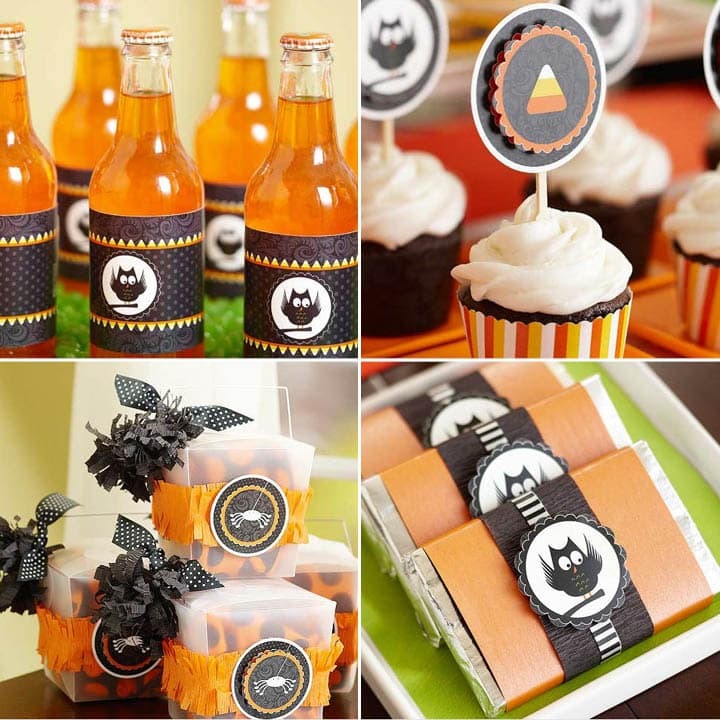 Think how easy + cute your Halloween Party will be this year! It includes an invitation, cupcake picks & wrappers, cello toppers, beverage wrappers, favor tags, dessert labels, a pennant banner and more! So hop on over and get yours! Let’s congratulate Kim for her feature in Better Homes + Gardens! Now you can get an early start on your Halloween party and you can guarantee it’ll be the cutest one on the block! Visit The Celebration Shoppe on Facebook! Free PARTY TO-DO List Printables!